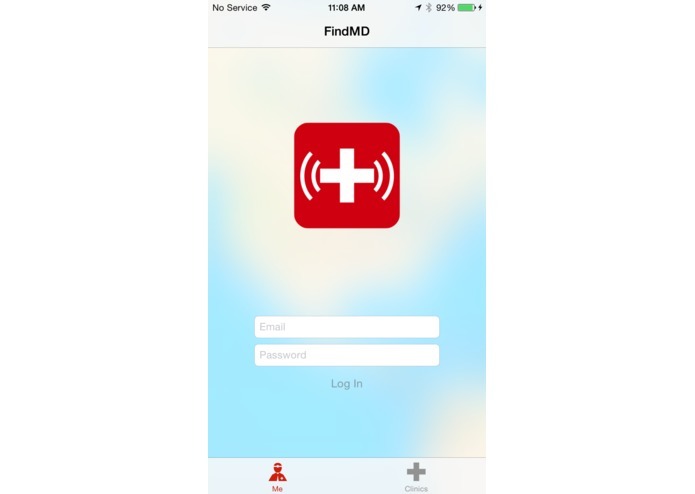 FindMD allows patients to text the number below to find the nearest doctor and receive medical advice via SMS if they are too remote medical access. Find MD establishes a chain of health care unseen in developing countries. 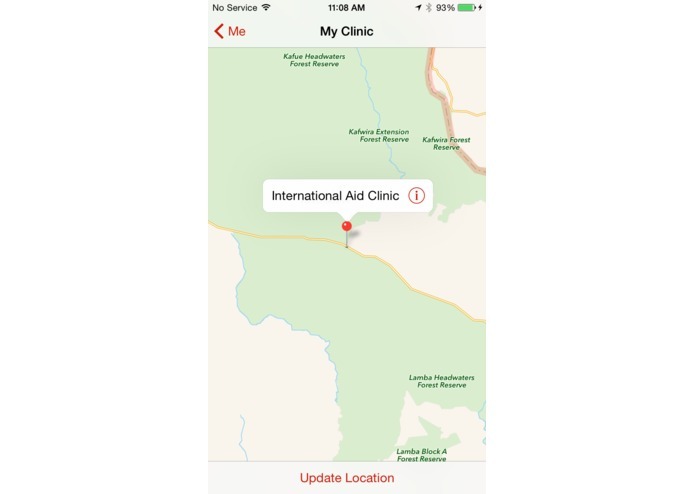 Reaching out to global organizations such as Doctors Without Borders, the World Health Organization, and local non-profits and NGO’s, we are able to bring health care services to the most isolated villages. 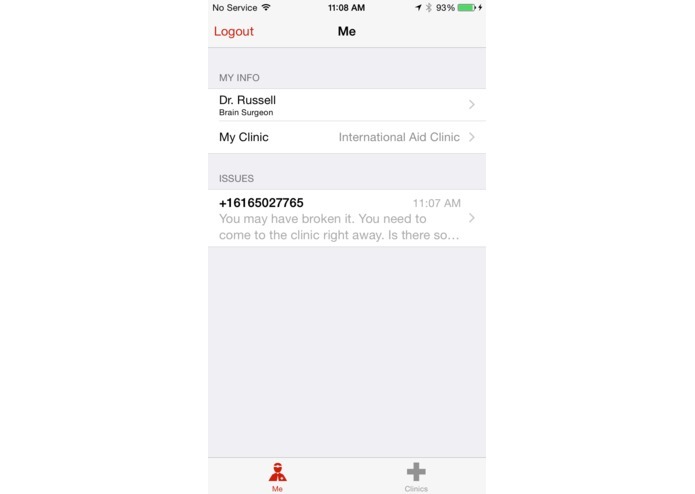 SMS to find nearest Doctor Patient in need of medical help can text their location to our doctor database and find where the nearest doctor is, how far away they are, and contact info. 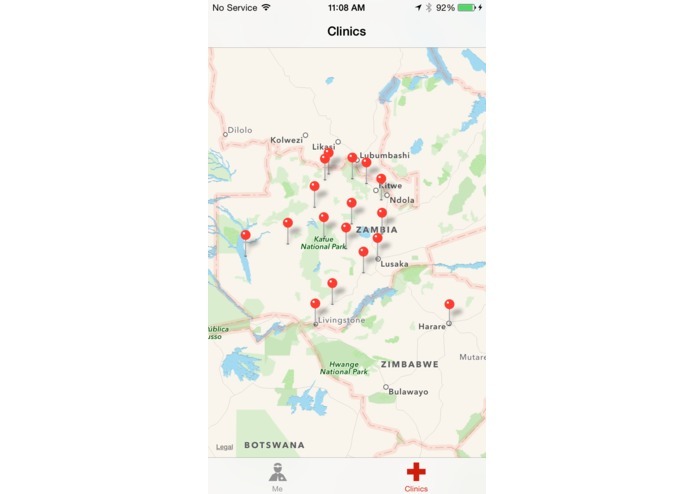 Doctor Update Location When a doctor moves to new clinic or their clinic moves they can update their location to keep the database up to date and alert people in the area that a doctor is near. Clinic and Admin Page Webpage for clinics to manage their doctors, location, and see where their doctors are and the number of patient requests they have gotten. 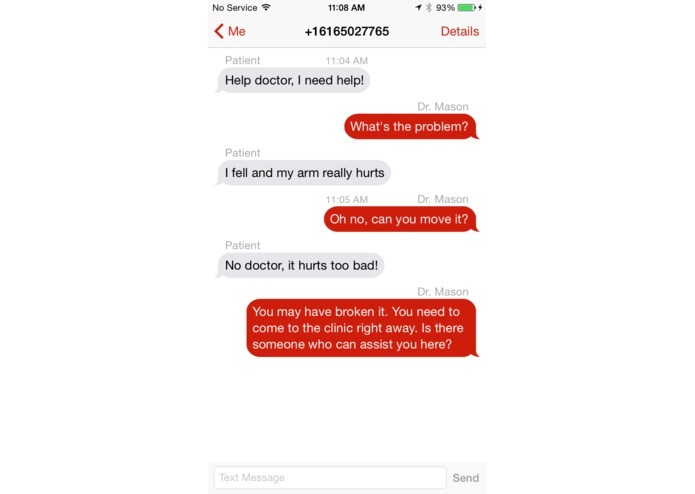 Push Notifications for Doctors Doctors are alerted when a patient near them is in need and can respond to their queries from within the app to the patient, even when the patient only has SMS. 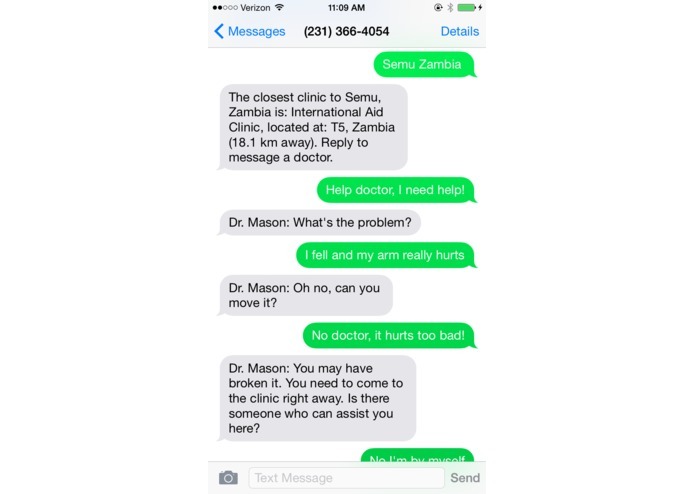 Text/Chat between doctors and patients Doctors and patients can communicate between smartphones and SMS to provide potentially life saving information about treating a wound, dealing with illness, and getting aid. Doctor and Clinic Profile Website component for Clinics to manage healthcare staff and monitor the locations of doctors that are attached to their organization. 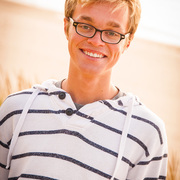 I worked on graphics design and CSS for the web app. 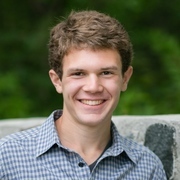 It was my first hackathon and I was lucky enough to work with a stellar team and we won 2 sponsorship challenges at the event. 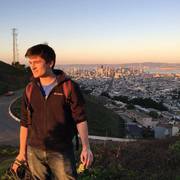 Although I'm inclined to lean towards hardware as an electrical engineer, this was an eye opening experience to be able to build a beautiful and functional platform for a great cause, in 36 hours.